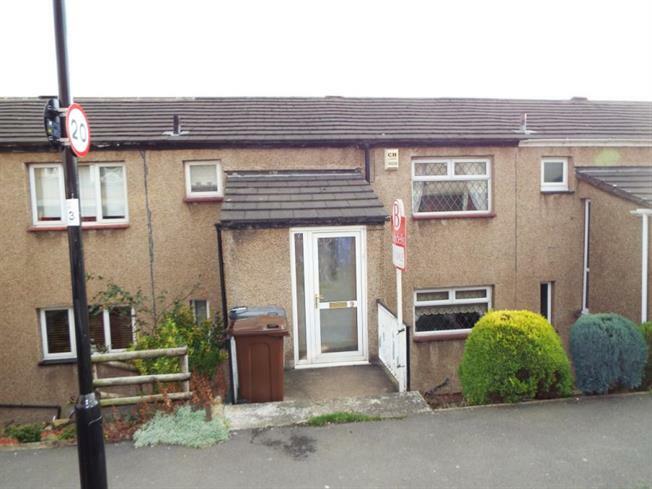 3 Bedroom Town House For Sale in Sheffield for Guide Price £110,000. An early viewing is recommended to take advantage of this three bedroomed town house located in the heart of Stannington and available with no chain. Offering accommodation over two levels with the benefit of double glazing, GCH and rear gardens. The accomodation comprises, an entrance door opening to an entrance porch with built in storage cupboard. A further door opens to the entrance hallway with half stairs up to the first floor and stairs to the ground floor. On the ground floor, the spacious open plan lounge and dining room has patio doors opening to the garden and further window to the rear, carpeted throughout with decorative fireplace. The kitchen has a range of base and wall units in a modern shaker style with contrasting work surfacing having inset sink, integrated oven hob and extractor, tiled splash backs and window to the front. From the ground floor lobby access is gained to the downstairs WC and useful under stairs storage cupboard. On the first floor, the Master Bedroom has window to the rear with lovely views across the Rivelin Valley, having recessed storage cupboard and built in wardrobe. Bedroom two has window to the front, and a pair of built in storage cupboards. Bedroom Three has window to the rear and built in storage cupboard. The bathroom has three piece suite comprising WC, wash basin and bath, tiled splash backs, window to the front and built in cupboard. To the exterior of the property is a garden area to the rear providing excellent potential for outdoor seating and entertaining area.